My "A" style instruments are a little different. 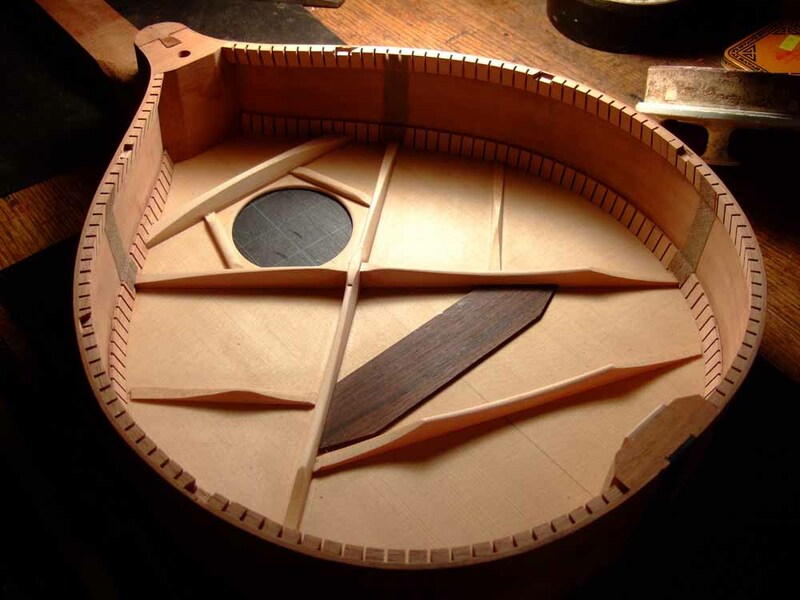 They also angle inward and under the fingerboard to meet the the narrowed width of the tapered heel at the back of the instrument ...the back then ends up narrower at the neck joint than the front. 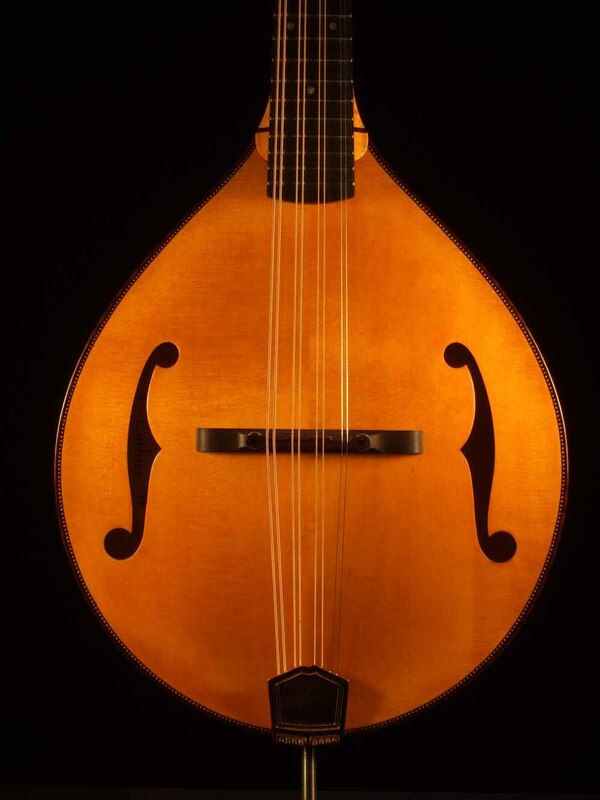 Other than the reduced width of the upper 2 or so inches, the rest of the body shape is from the same pattern as my other mandolins, the 1923 Loar. 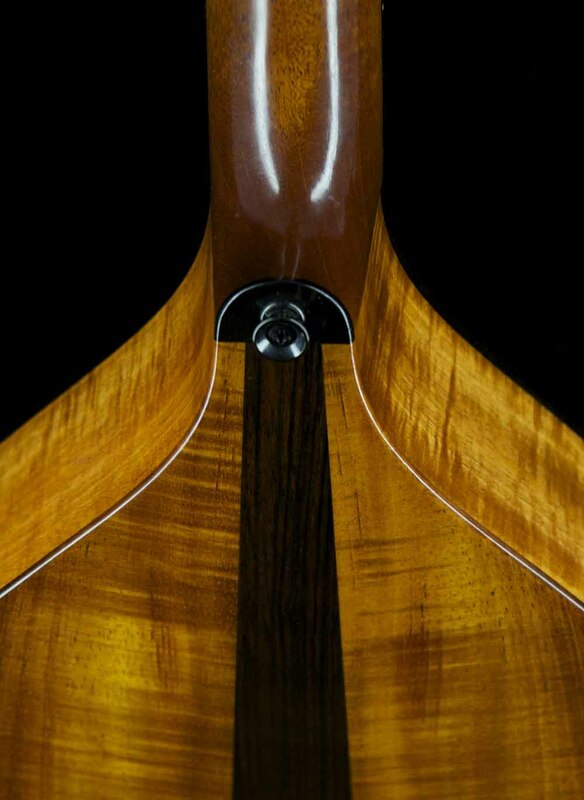 Some players will like the improved access up the neck with a smoother transition from neck to body. 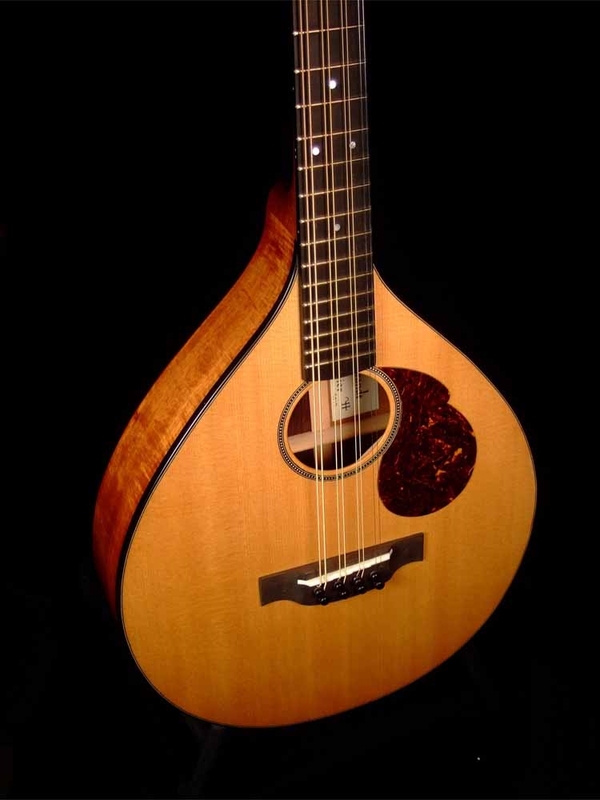 Electric Octave Mandolin, Tenor Guitar or Bouzouki. 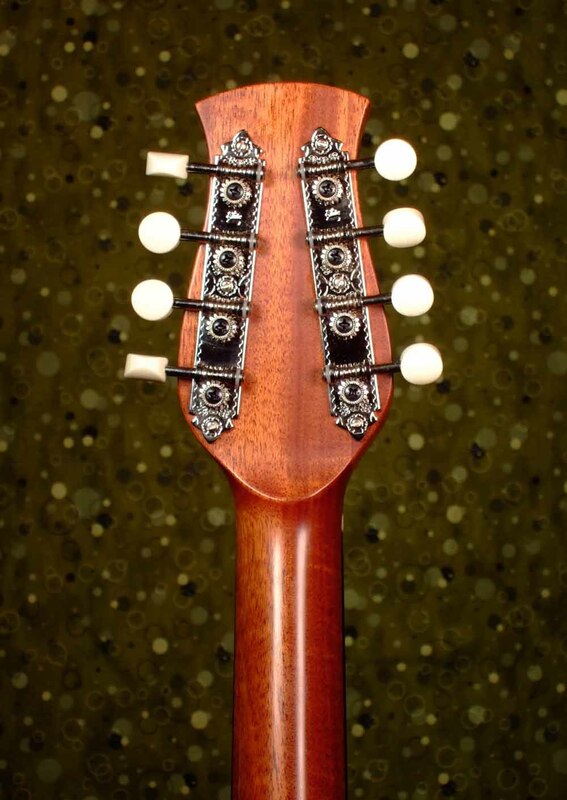 My carved mandolins are closely derived from the archings, thickness calibrations, bracing and, with some artistic license, the body outlines of an original 1923 Lloyd Loar signed, Gibson F5. 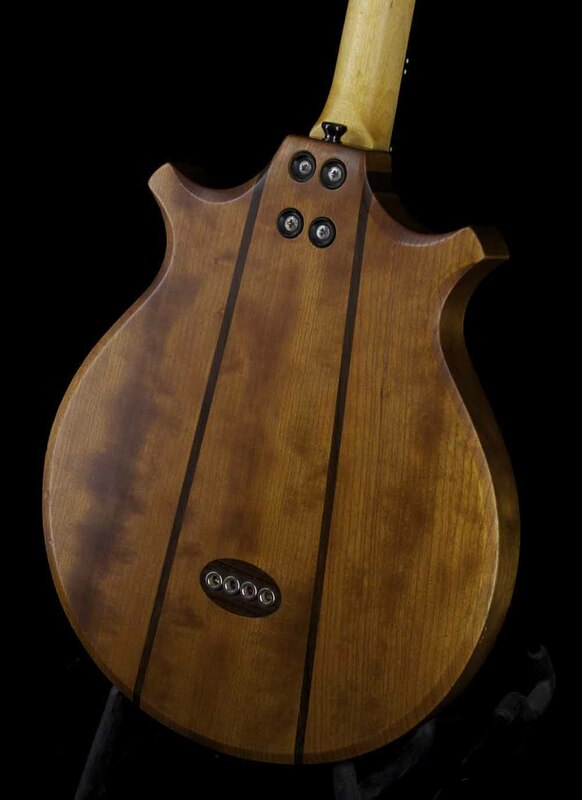 I have my own ideas about the aesthetics of my instruments but this design has proven itself as a successful music machine and is an excellent model to reference for variations of arch top mandolin. The instruments shown here are made with well aged Engelmann or European spruce tops and European maple backs, sides and necks. The colors are from water stains or "glazing" or both. 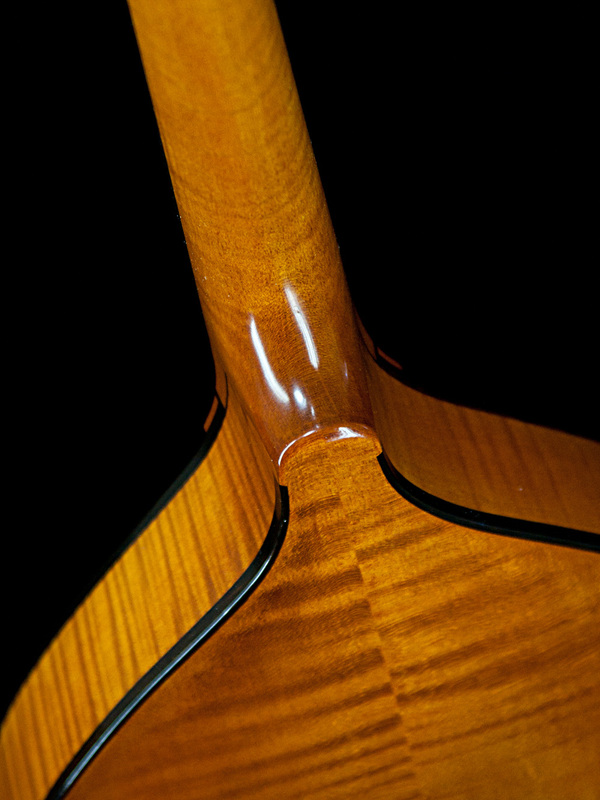 The finishes are hand applied oil varnish or oil varnish with french polish as the final coat. 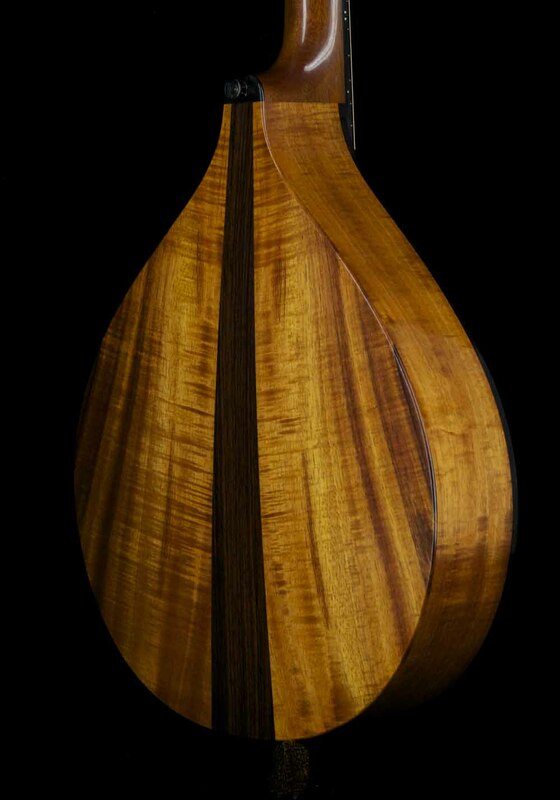 My flat top Octave Mandolin/Bouzouki design is influenced by my guitar making. 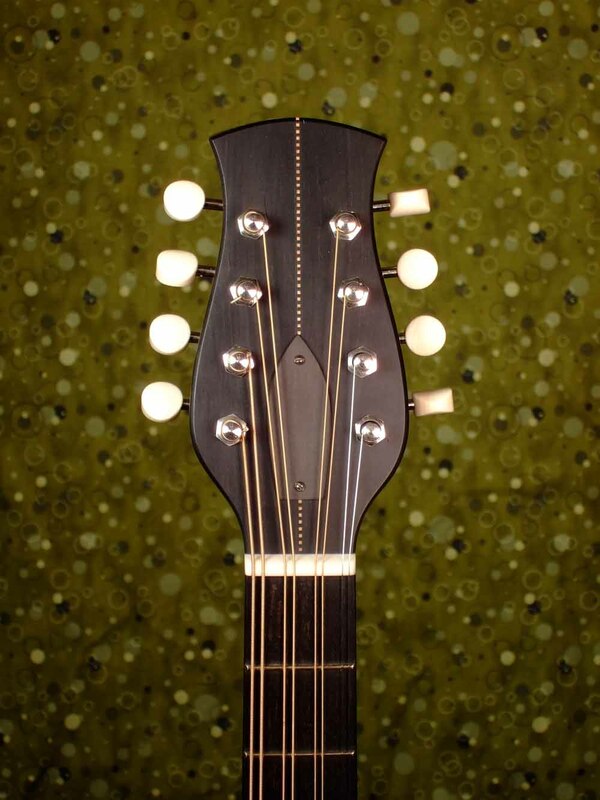 As a guitar maker, it was natural for me to think in terms pin type bridge and scalloped x bracing. 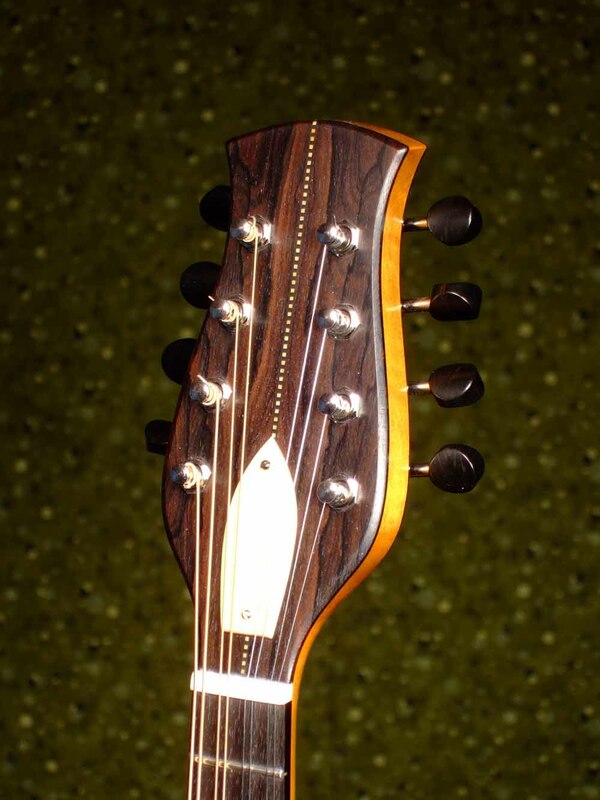 With this design, much more of the strings vibrating energy is transmitted into the top at the bridge instead of it being partially absorbed into the tailpiece as on a floating bridge instrument. 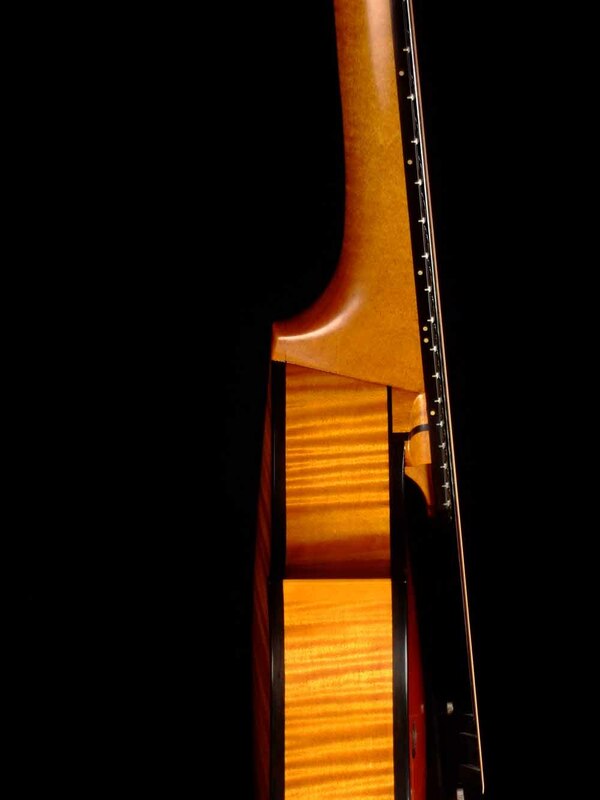 These features make a tonally balanced instrument with a full mid and low range and strong projection. 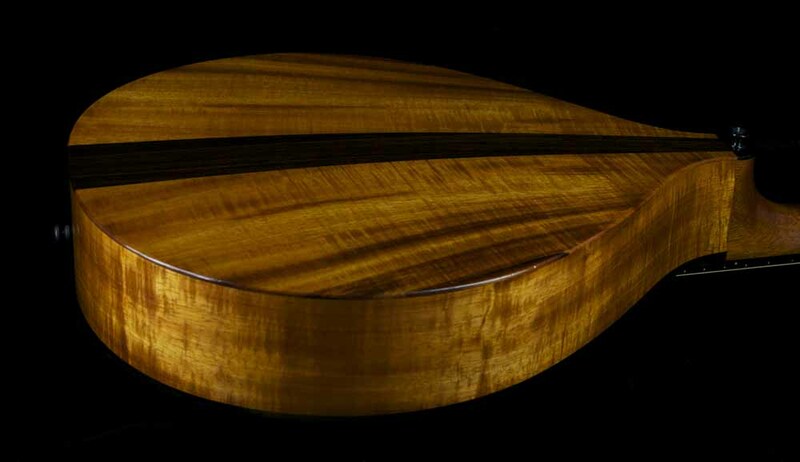 This one has a Sitka Spruce top, flamed Koa sides and back with an Indian RW center strip. 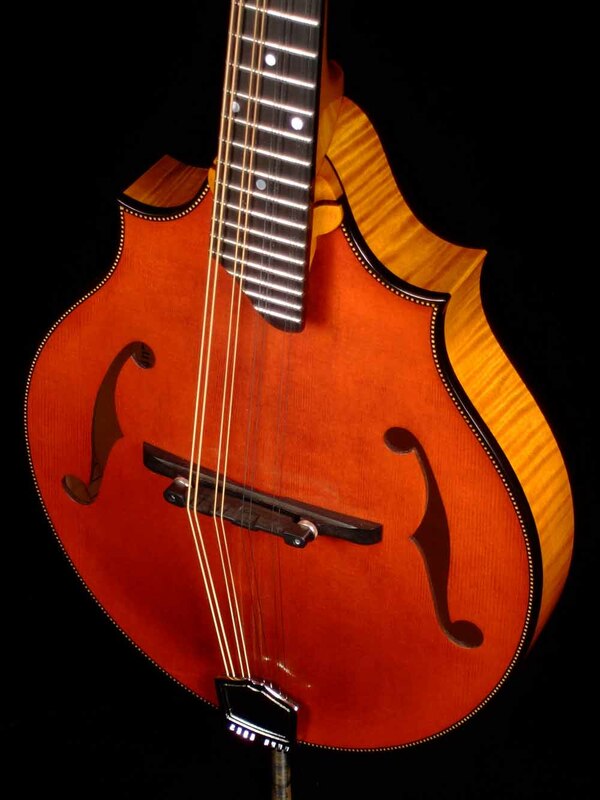 I designed it for myself and, this particular version is an octave mandolin with a 22 7/8" scale, which can be varied depending on the desired end result. The body is cherry, neck rock maple. The Pickups are Allmuse humbuckers, made in England.